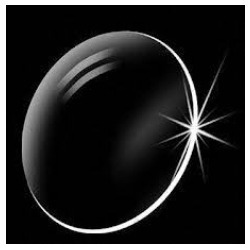 Prominent & Leading Manufacturer from Indore, we offer aspheric lens 20d / aspheric lens 78d/ aspheric lens 90d, 4 mirror gonio ophthalmic lenses, 78d aspheric condensing high quality ophthalmic lenses, aspheric 90d premium quality ophthalmic lenses manufacturer, ophthalmic capsulotomy lens for yag laser treatment and highly magnified iridectomy ophthalmic lens manufacturer. 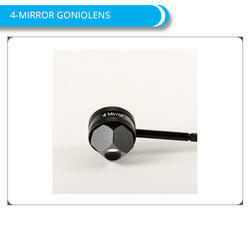 Application : 4-MIRROR GONIOLENS is a standard gonio lens which is used for static and dynamic gonioscopy. 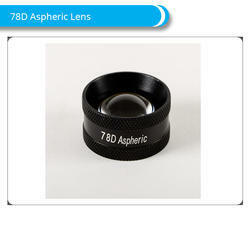 Application : 78D Aspheric Lens - is used for general examination of the fundus. 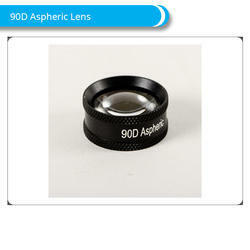 Application : 90D Aspheric Lens - is used for general examination of the fundus and small pupil examinations. 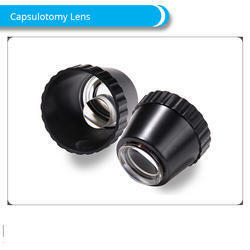 Application : Capsulotomy Lens - is used for YAG laser capsulotomy procedures. 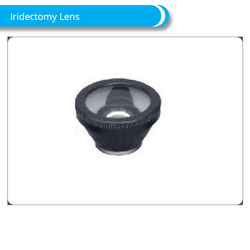 Application : Iridectomy Lens - is used for YAG laser iridectomy procedures. 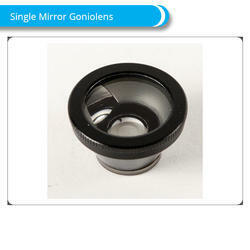 Application : Single Mirror Gonio Lens - is used for viewing the anterior chamber angle and central retina. 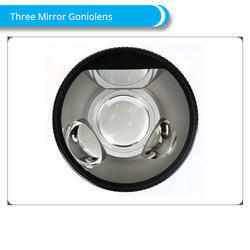 Application : Three Mirror Goniolens - used for viewing the anterior chamber angle and central & peripheral retina. 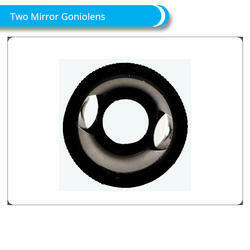 Application : Two Mirror Goniolens - used for viewing the anterior chamber angle and central retina. With our in-depth knowledge and experience, we are engaged in offering a wide array of Optical Lenses. These optical lenses are made by employing high-end tools under strict guidelines in order to maintain its universally accepted norms. The offered optical lenses are acclaimed for their salient features & provided as per the need of customers. 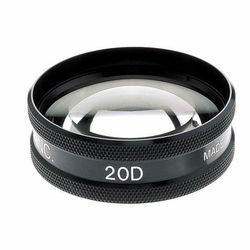 Looking for Optical Lenses ?